"And so it was that later, as the miller told his tale. That her face, at first just ghostly, turned a whiter shade of pale." I'm pretty sure that wasn't the connection, but I kept humming the line "as the miller told his tale". Miller, the classic Oxford lace-up shoes from Mr Hare made a return for Fall Winter 2012, this time with a bigger bang. 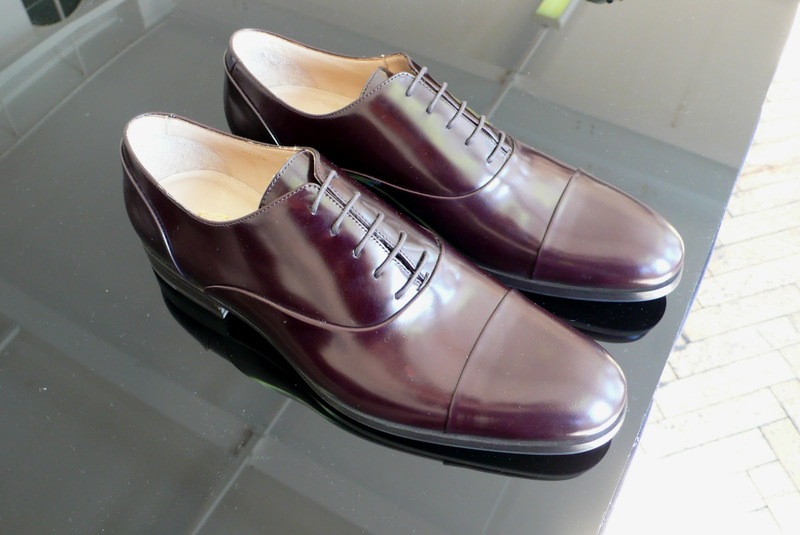 The high shine Italian calf leather shoes came in a stunning shade of burgundy. This is so so beautiful and poetic, and reminded me why I love his shoes in the first place. For the dandier ones amongst us, "Miller" also came in the above stunning shade of British racing green. Absolutely faultless construction, I hope to see these on a red carpet soon. The interesting thing, is that Mr Hare added a thin piece of rubber on top of the leather soles. It doesn't change the aesthetic of the shoes, but gave it added practicality. Small details, but I think most will appreciate that. The question now is, burgundy or racing green? 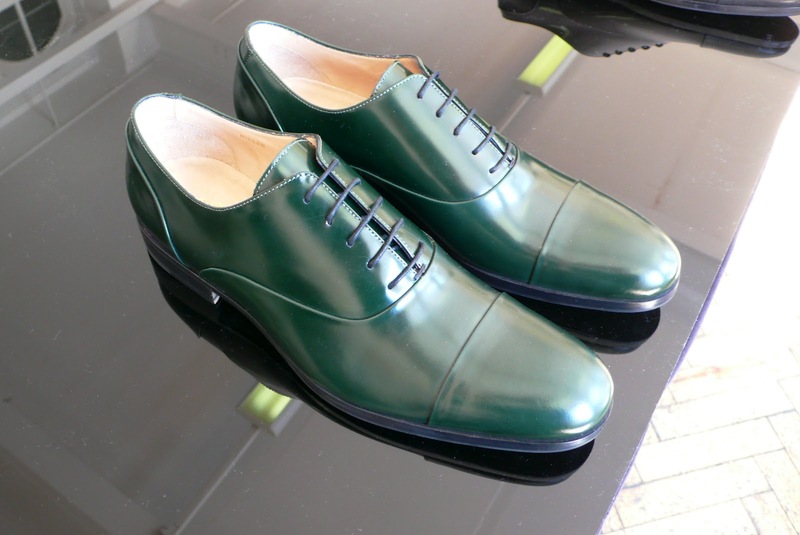 You can get the gorgeous "Miller" shoes from Mr Hare Fall Winter 2012 online from Mr Porter (US) and Mr Porter (International). i prefere burberry's burgundy oxford instead of mr. hare's...so i'd go with the green one!! after having the one from burberry for sure! His shoes looked like they are blake-stiched. Does he offer anything in goodwelt? The rubber add ons are good...protects the sole from wearing down. 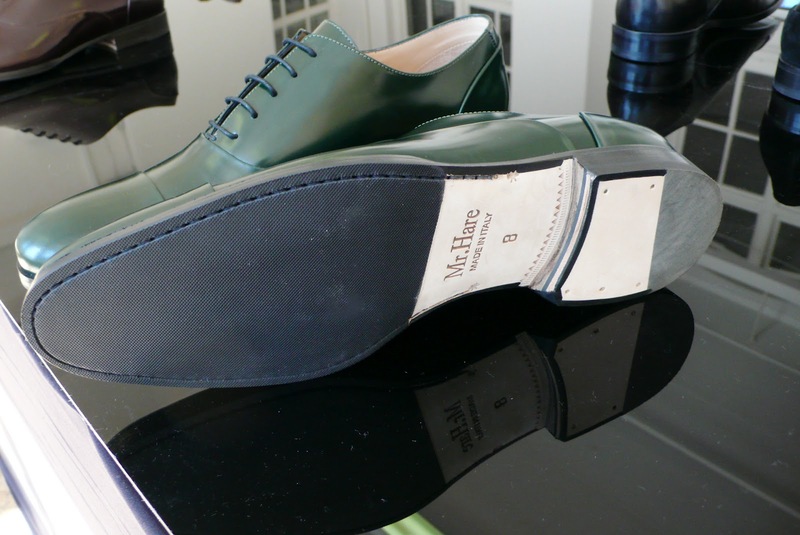 Alexander Mcqueen's recent FW shoes also come with rubber protection (that sounds wrong). Leather soles in British weather have got to be the most impractical choice, so I think the rubber addition to the shoes is not at all a small detail, rather a major improvement. Surprising he didn't do it sooner, the shoes will deifintely last longer like that. i actually prefer mine without the rubber soles. I like the sound of leather soles hitting the floor. Nice shoes! thanks for sharing the blog and keep on updating the blog.